Although you might regard termites as nothing more than destructive pests, this is mostly due to certain subterranean species of termites that have a great appetite for wood rather than the majority of termite species out there, and in fact there are many termite species that do not pose any threat to your home or furniture, and are indispensable to the functioning of various ecosystems of our planet, by helping in the recycling of wood and plant material in many, many ecosystems over countless millennia. Termites are the master builders of the animal kingdom, with perhaps no equal. On a size to creation ratio, some species of termite can build a structure the equivalent of 10 times the size of the Empire State Building without so much as breaking a sweat. How they can accomplish such a feat is still somewhat of a mystery considering their size, and the fact they are blind. Also, there is next to nothing known about many species of termites, but perhaps this will improve in time. Broadly speaking, termites can be divided into four kinds depending on their mode of nest building. They are dampwood termites, drywood termites, subterranean termites, and arboreal or mound builder termites. Of the 2600 species known, only a small percentage are real pests in that regard; the rest are not. In fact, there are many termite species that do not have any appetite for wood, and feed on humus, grass, or lichen. Many species cannot survive outside of their natural habitats in forests and grasslands. 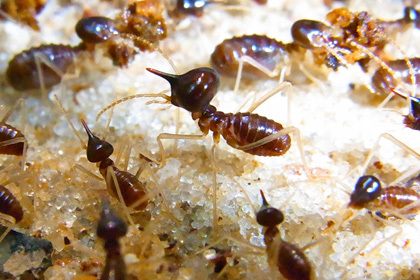 Unlike the high profile ants of the insect kingdom, termites prefer to keep low profiles most of the time, tunneling and burrowing out of sight all their lives. It’s not surprising most humans have such a vague understanding of them, and so little is known about many termite species. 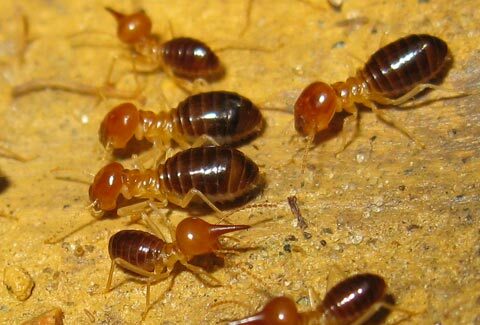 Once you better understand these creatures of the insect kingdom, perhaps you will be in a better position to safeguard your home from those termite species that do cause problems.